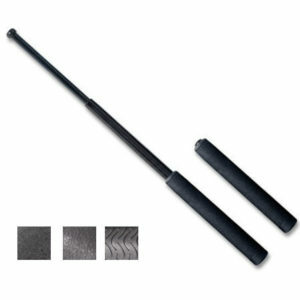 The ASP Sentry baton is the moderately priced alternative to the 4140 steel batons. 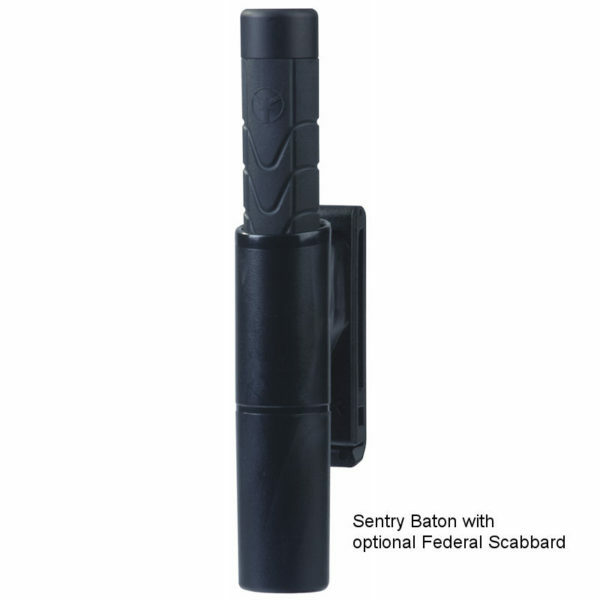 Built of 4130 steel the Sentry baton is designed to give security professionals a superior product at an economical price point. The Sentry Baton is designed by ASP and made of 4130 Japanese steel. 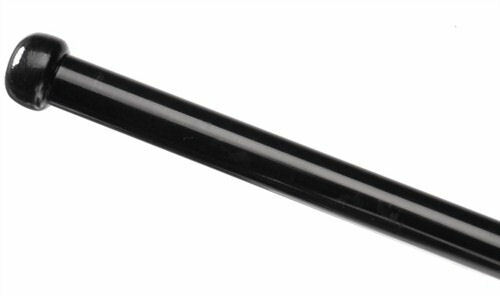 It has a unique corrosion resistant black nickel finish and a carbon steel tip. The endcap and base retaining clip are made of Aluminum. The carefully designed handle is of 60 durometer Santoprene and features the ASP Strike Force Grip that will provide you with firm retention in the most adverse conditions. 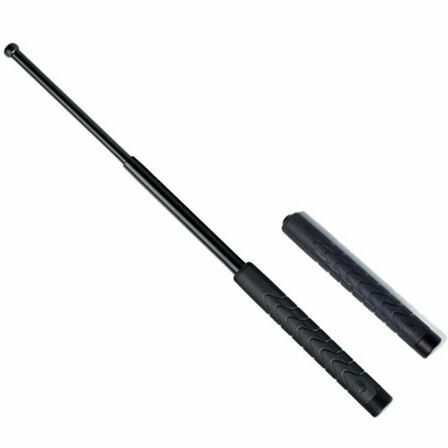 The Sentry operates the same so the traditional ASP friction Loc batons. To expand the baton you must snap your wrist out sharply to lock the tubes in place. To retract you must bring the tip straight down on a hard surface such as asphalt of concrete. 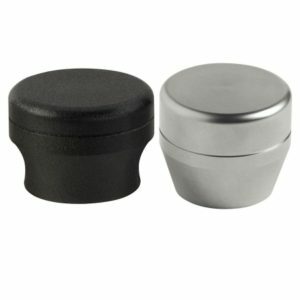 The Sentry is the same size as the traditional Friction Locs and is compatible with all ASP accessories including ASP Grip Caps, Leverage Cap, Grip Cap and BreakAway glass breaking cap. 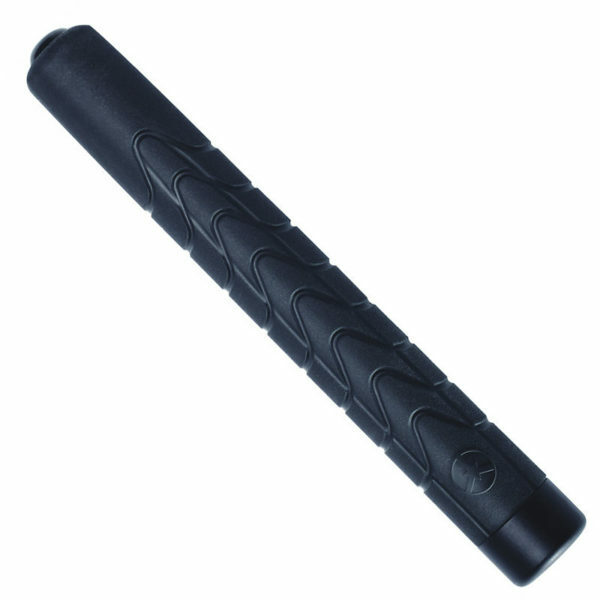 You can choose from Duty, Federal or SideBreak Scabbards. THE BATON IS SO GOOD FOR THAT PRICE IT IS RIGID. I am glad to inform you that I have received my purchased product form your site without delay and problem. I also would like to let you know that I`m fully satisfied with your products and service. 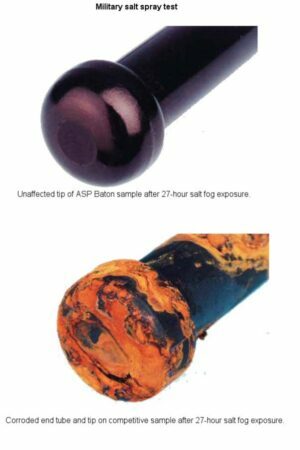 I am looking forward to buy more of accessories for my ASP batons so hopefully I can contact you soon. 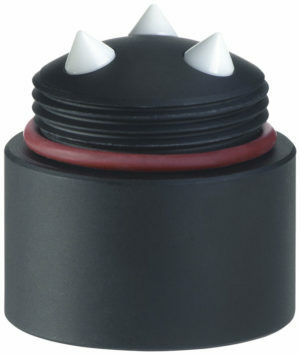 By the way, I was wondering, if you have the BreakAway Baton Glass Breaking Cap. If you do, please let me know. As with all ASP baton products, I would highly recommend this Sentry baton to anyone. I own several of their products and can’t say enough about the quality. In comparing the 21 inch ASP Sentry to the 21 inch 4140 variant I found it held up to it’s more expensive 4140 sibling. In testing we used a weighted and more dense punching bag, the Sentry showed no signs of bending or flex. Nor did the baton collapse when counter striked (such as from a strike from left than from right). However, in taking measurements There mortise tapers are different. 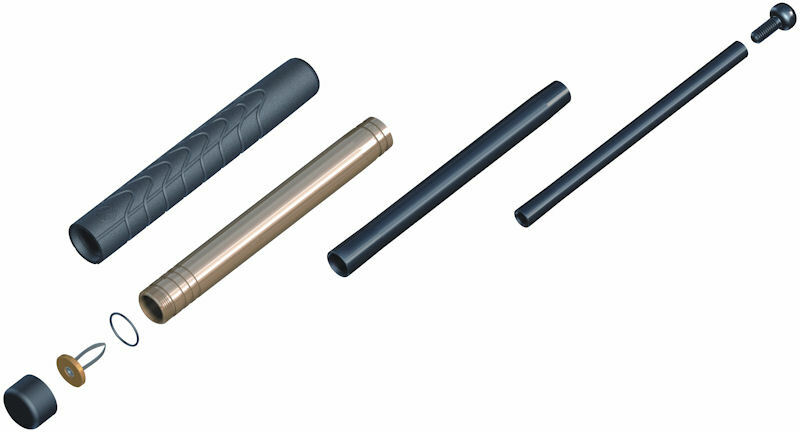 The more expensive series (4140) has a more aggressive flare which provides more surface area for the handle to hold the shaft. Measurement location was ensured by securing both batons on a flat surface and measured with a digital caliper. A laser level was used as a reference measuring point for both shafts.